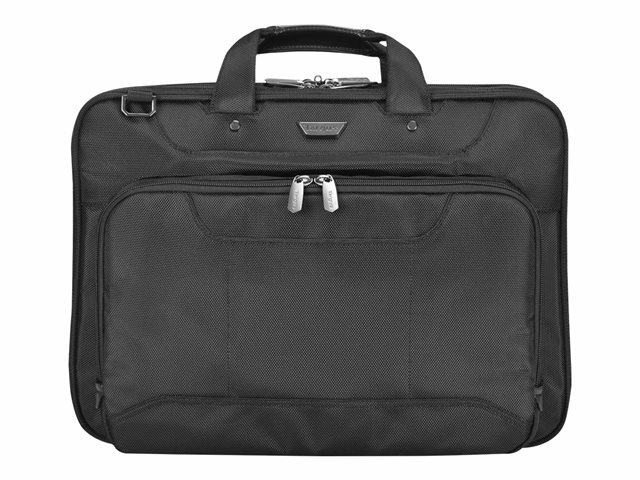 The Targus Zip-Thru 15.4" Corporate Traveler case is designed to help you clear airport security without removing your laptop from the bag. 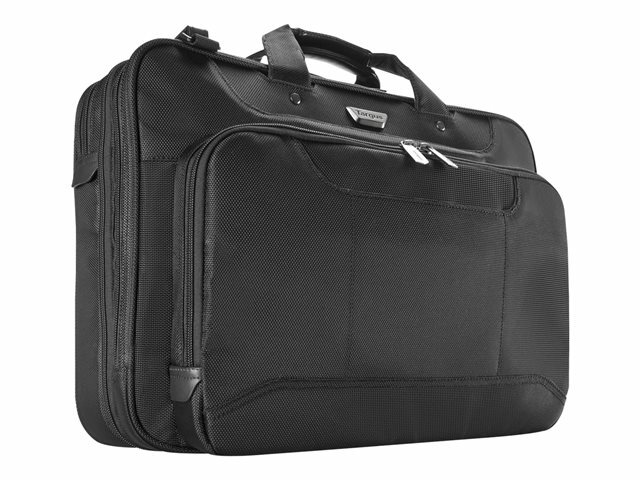 This case is specially designed to split down the middle, thereby isolating the laptop on the one side to allow for clear X-ray scanning. 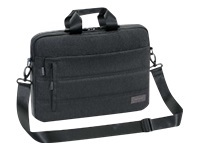 Designed to fit 15.4" widescreen laptops and weighing just 3.74 pounds, this case features lightweight and durable ballistic 1680 denier nylon fabrication and also includes the patented SafePort Air Cushion System to help prevent drop damage. 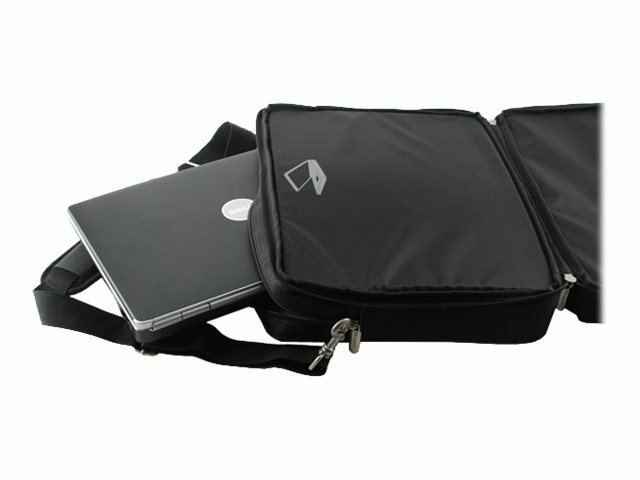 This protection system features adjustable cushions inside of the case to protect your laptop and provide a snug fit for smaller laptops. 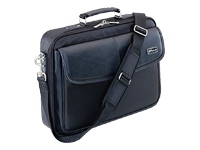 The case features a dedicated file section, zip-down workstation with business card holder, pen loops, key clip and multiple accessory compartments to keep items organized. 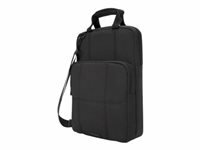 For added comfort, the case includes a padded ergonomic shoulder strap with non-slip coating to keep the pad in place on your shoulder. 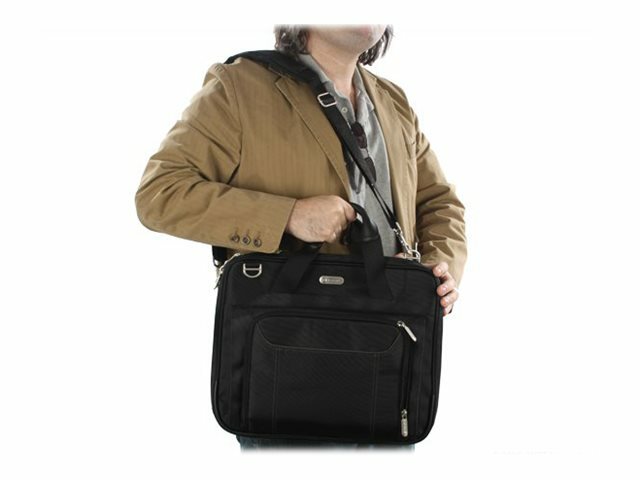 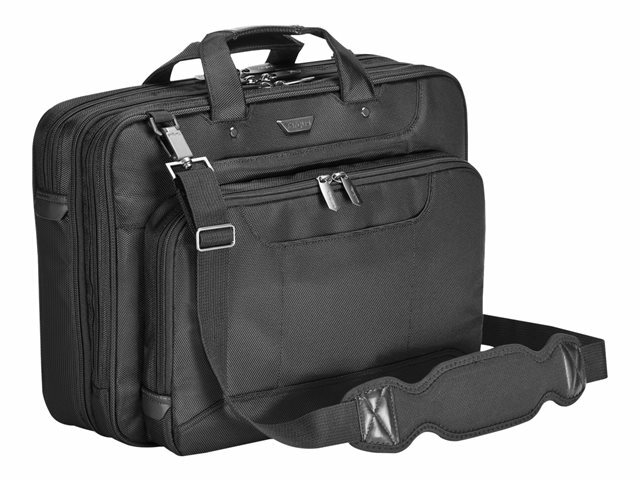 The Targus Zip-Thru 15.4" Corporate Traveler is designed to expedite your airport security experience and withstand the wear and tear of everyday business travel.